Asia’s premiere modelling competition is back for Asia’s Next Top Model Cycle 5 Episode 6. The photo shoot this week was sponsored by Neutrogena with the girls having to portray one of the scents in Neutrogena’s Rain Bath Shower Gel line. Joel Lim is back behind the lens. Read on for my Asia’s Next Top Model Cycle 5 Episode 6 review and how the girls fared in their photo shoot this week. She can look badass and strong in one photo and yet she can look vulnerable and soft in this one. The versatility on this girl! To think she’s one of the younger girls in this competition. I can’t rave about Nametha enough! Girl seriously slays. Shikin is bringing the fierce once again. That booty tooch is divine. I like how the flowers outline her body. She’s maybe not the look that Neutrogena is looking for as its new face (more on that later) but still an excellent photo from her. Not as strong as last week’s wow photo, but still good nonetheless. She’s serving waterbender/goddess of the sea. Looking forward to her next photo! She’s glowing in her photo. She’s even smizing, though with unclear results. The most glaring flaw here is the stiff right arm holding on to one side of the tub. Had that arm been more relaxed, this would’ve been another strong photo for Valerie. Did anyone else notice that Cindy’s photo is framed (and cropped) differently than the other girls? I would’ve chalked it up to Cindy’s height, but Nametha is the same height as her and Tu is taller. So what gives? As with Cindy’s past photos, I still don’t know what emotion she’s trying to evoke. Then again, it’s still the stronger of the two blue photos. Is it just me, or does it seem like Clara really lost her spark after the makeover? She’s still funny af when she’s her usual clueless self, but in her photos she seems to have lost all energy. I’m still hoping that there’s still some fire left in her to be better next shoot. It’s another case of the stiff jaw for Veronika, though not as severe as last week’s. Her right hand looks like it’s keeping her right leg in place; it just looks uncomfortable. This is still better than her photo last week, but she needs to keep up the pace with the other girls if she wants to continue in the competition. Dorothy has been yoyo-ing in the rankings for the past few weeks. Whoever selects her photo seems to always pick her worst photo whenever he/she has the chance. Therefore, Dorothy needs to bring it in all of her shots, like she did in last week’s Maybelline shoot. While last episode was pretty uneventful for the most part, this episode gave us a lot to unpack. The show went full-on reality show in Episode 6. Why would they even have wi-fi in the first place? Is this just a ploy to tempt the girls into breaking the rules? These are all adult girls, not little kids being tempted to take cookies from a cookie jar! How would Nametha know the wi-fi password? Who did she get said password from?Did the wi-fi not have a password?Or maybe, the unsecured wifi was from a neighbor that doesn’t know how to set the password? (If yes, then that’s probably why all those spoilers get leaked so easily. 😂) Whose phone did she use? If she used her own phone, why does she still have it? I thought any and all mobile devices were “confiscated” on these reality shows? After the deliberation, Nametha was called 2nd to Cindy but if you watched the 2015 Miss Universe and the 2016 Academy Awards, you’d know that Nametha was a goner. I know it’s to build up more drama, but it’s pretty cruel how they prolonged Nametha’s agony. How Nametha handled the forced elimination showed how she is great as a person in spite of her mistakes. Moreover, as an added constraint, we’re only looking at photo shoots where none of the girls are in the bottom (because the judges’ scores are not shown if a girl is in the Bottom 2) and both judges are present, i.e. from Episode 2’s Colgate shoot to the latest. Let’s crunch some numbers, shall we? This was the first episode where Cindy and Yu Tsai were both present. There were 4 judges in total, including Cara and guest Lukkade. This was the makeover shoot and the call out order was purely based on the panel scores for their photos. Yu Tsai was present at this shoot. There were 3 judges, including guest Ling Tan. I skipped the group shoot in the previous episode because Dorothy was in the bottom 2. For this episode, there were 4 judges including Cara and guest Nigel Stanislaus. After Cycle 3 concluded, Aimee Cheng-Bradshaw from that cycle was chosen as their ambassador for Singapore. 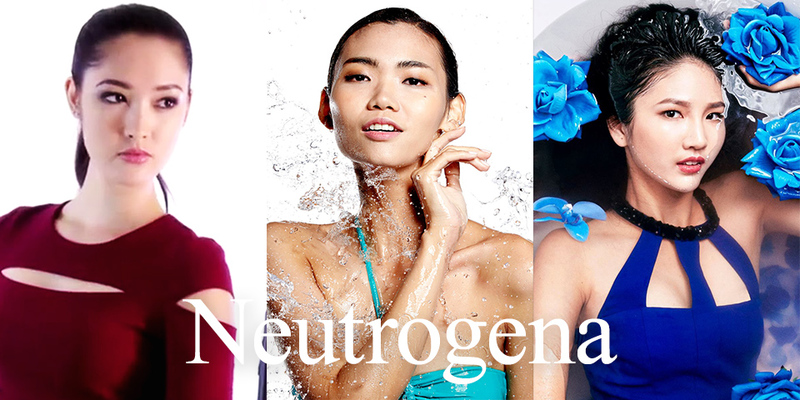 Since then, Neutrogena has sponsored a photo shoot on the show, with the prize of being the new face of Neutrogena Singapore. Aimee has been a guest on the Neutrogena episode since last cycle. Sang-in Kim won that prize last cycle for their Splash line. Now Cindy Chen won it for their Rain Bath Shower Gel line. What do you think of Asia’s Next Top Model Cycle 5 Episode 6? Any particular thoughts on the episode, specifically about Nametha’s shock elimination? How would you rank the girls’ Neutrogena photos? Any other conspiracy theories to add about the show? Sound off in the comments below. Also, don’t forget to vote for your favorite girl in the poll in the recap post. Poll closes right before Asia’s Next Top Model Cycle 5 Episode 7 on Wednesday, 9 p.m. on Star World. *Based on looks, i think Clara did look better post-MO; At the same time, it also depreciated her modeling potential as it made her look like a typical cutesy girl. The only way i see Clara getting best photo again is if there’s a sporty shoot or a sweet-kind of shoot. But then again, this week’s theme comprises serenity and she still didnt do that good, so idk..
*In addition, I also noticed that the “narrators” have been getting eliminated. Both Alicia and Nametha had a lot of confessionals prior to their boot episode. So I guess that if this theory is correct, then Dorothy and the twins might be in trouble on the next episodes. About the “narrators”, it probably is because they’re the most fluent English speakers. More soundbites that the editors can work with means more screentime.